I like heirloom tomatoes, generally, but this year was not the best for growing tomatoes. We had wet conditions that made planting late. I grew types new to me. We had a very dry late season. I got tomatoes- but not the way I like them. I used to be very predictable when planting tomatoes: Better Boy and Early Girl with the occasional Beefsteak or trial type thrown in. I came to dislike too many plants because I can’t seem to garden and can produce at the same time: too much waste for my frugal sensibilities. This year I planted several heirloom types, but they suffered terribly from cracking. They tasted all right, but not as good as Better Boy. Sorry, it’s true. Maybe because the hybrids are resistant to many tomato maladies. 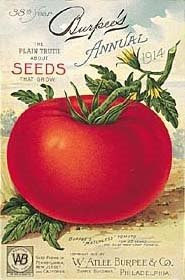 I had better luck with some heirloom types last year, but I think for good all around performance I will be sure to have my usual plant or two of Better Boy. Nice round red tomatoes that taste good: a bit acid, with deep full flavored tomato taste. I think of the heirlooms I liked the Pink one the best, Caspian Pink.